Protech is an insecticide that repels all household insects to keep your home clear from cockroaches and other household insects. It is an eco-friendly, non-toxic, odourless ball which causes irritation and death to insects. Efficient indoor use only. 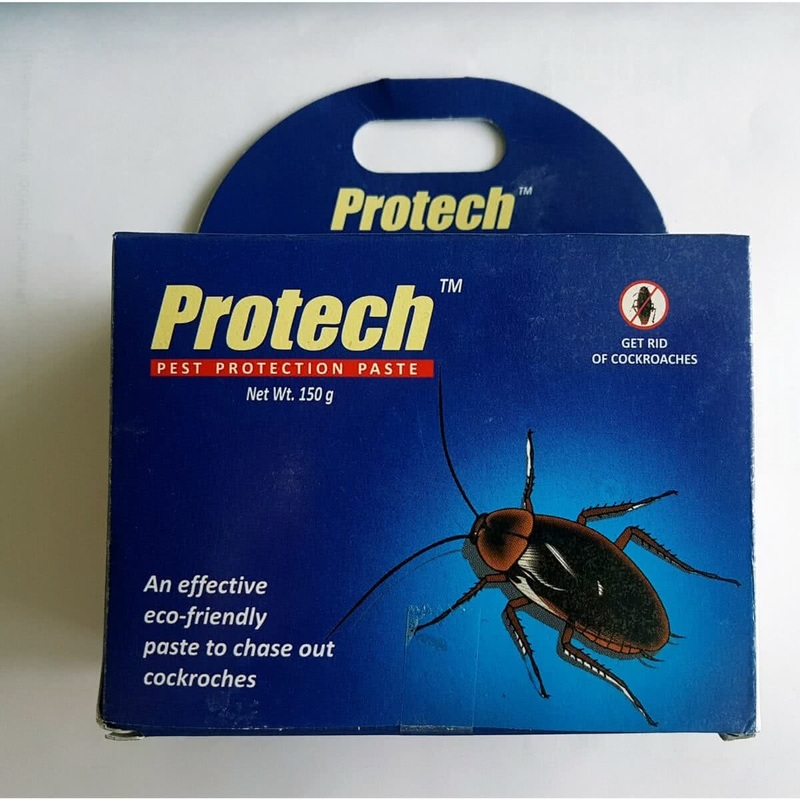 1) Protech Paste is a eco friendly & odourless paste which prevents cockroaches from entering your premises. 2) This pack is suitable for covering only small areas i.e. kitchen, cars, bathrooms, etc. 3) Take a big lump of Protech Paste & make it into a circular ball & then apply it by pressing it into all corners of affected areas like walls, cupboards, etc. Don't apply it, at wet places. 4) Protech Paste should be used completely once the seal of inside plastic bag is broken and then you can relax for 3 long months. 5) For better results replace Protech Paste within 3 months.